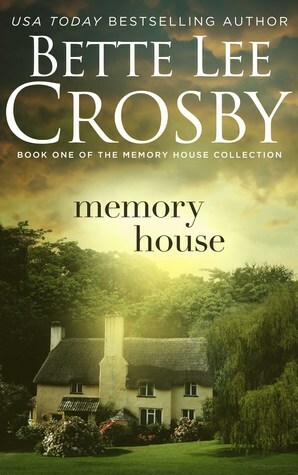 Bette Lee Crosby has written a wonderful series of books called The Memory House. There are currently four books in the series and I really hope that she is adding to the series. This is a wonderful book about love and friendship and memories. The friendship is between Ophelia, a 90 year old woman who owns The Memory House bed and breakfast and Annie, a young woman with a bleak outlook on life. Ophelia believes that objects have memories that can be felt by other people and as she works to convince Annie of this, their friendship grows. It's a wonderful book and it helped bring back some memories in my life that I had forgotten. This book begins with the wedding of Annie and Oliver from book 1 but it is as much about the growth and changes in Ophelia's life as it is Annie and Oliver's. Max, a new character who is an architect, is introduced and it looks like she will be the main focus of book 3, which I am anxious to read. The characters are well done and the reader wants to find out what happens to all of the characters because they are so well done that they feel like they know them. There is some drama and nail biting in this book but that makes it even more real-life. It's a great read about love and that you don't have to be born into a family to be part of a one. This book is about memories - the memories that Max has for her first love in Paris. She has so many memories of him that she is unable to live her life to the fullest so she decides to go back to Paris to find him. The book is about Max's journey to re-live her memories -- can she find what she thinks she has lost or is her memory different from the reality? This is a great page turner and a beautiful book about Paris. The author does a fantastic job of describing the streets of Paris and some of the various tourist destinations. Another plus is that we get to once again spend time with Ophelia and Annie from books one and two of the series. Even though I have really enjoyed this series, this book was my favorite. My recommendation is to read them all- it's a great series. 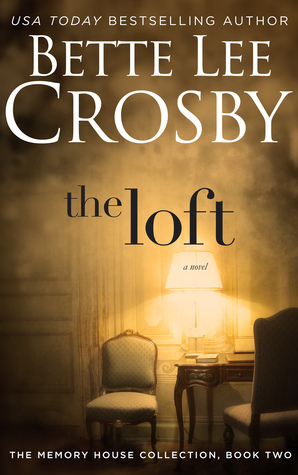 This is book 4 in the Memory House series and the series just keeps getting better. The only character from the earlier books that shows up in this one is Ophelia so I think that you could read this as a stand alone book. Whether you read it as part of the series or by itself - you need to read it! Its the story of Cheryl Ann who never learns anything about family and love from her mother so she makes lots of mistakes in her own life. With the help of her friends and what she learns through her experiences both good and bad, she learns what it means to love and what it means to be part of a family. This is a wonderful book that shows Cheryl Ann's journey with all of its problems and her faults as well as her triumphs. 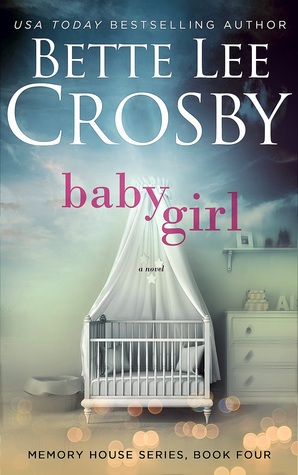 There was more than one part of the book that brought tears to my eyes and I found myself hoping for a happy ending for her as she learned some tough lessons in her life. 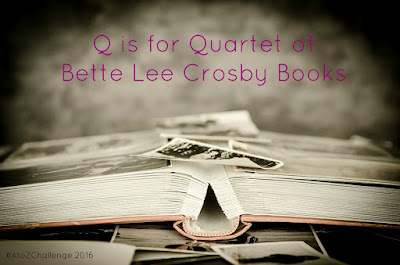 Bette Lee Crosby has written some wonderful characters in her earlier books but in my opinion, Cheryl Ann is one of the most real characters that she has ever written. Read this book - you won't be disappointed. Susan Roberts, reviewer. Susan grew up in the Detroit area but after deciding that city life wasn't for her she moved to North Carolina after college. She and her husband have several acres of land and they enjoy gardening and canning vegetables in the summer. They travel extensively and just returned from a month in Paris. Susan reads almost anything (and the piles of books in her house prove that) but her favorite genres are Southern fiction, women's fiction and thrillers. You can connect with Susan on Facebook or Twitter. Great way to get Q in there. 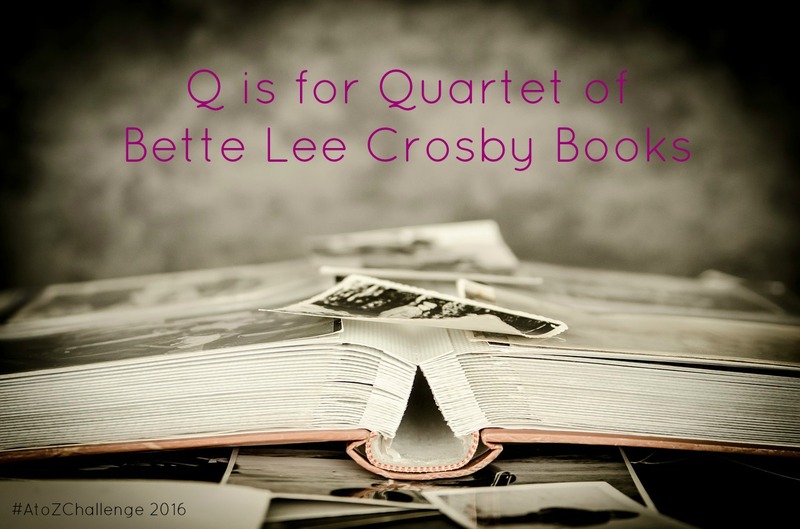 Quartet :-) I may have to steal this idea for a theme next year and write about books I have loved. Good choices. I know Bette well and have designed covers and Facebook ads for her. Lovely lady.